Railway executive, city councilor, MLA (1937-1940). Born in Winnipeg on 13 January 1886, son of Michael Joseph Barry (1855-1889) and Ellen Marie Curlen (1853-1930), he was educated at St. Mary's School. In 1879, his parents came to Manitoba from New Brunswick. He worked for the Canadian Pacific Railway, rising to the position of Chief Clerk. He served on the Winnipeg City Alderman for Ward 3, being elected in 1921, 1922, 1923, 1924, and 1925. 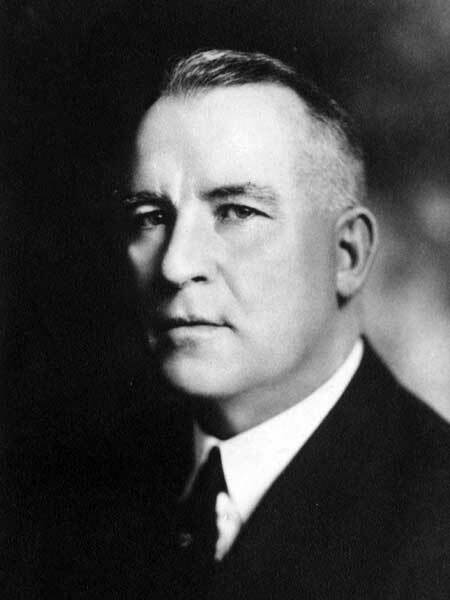 He was defeated in his bid for a seat in the Manitoba Legislature at the 1932 and 1941 general elections but was elected in 1936. On 27 November 1927, he married Delmar Kathleen Erickson (1893-1978, daughter of Ile and Kain Erickson) at Winnipeg. A Catholic, he served as President of the Catholic Club (1906) and Grand Knight of the Knights of Columbus (1917-1918). In 1925, he lived at 216 Glenwood Crescent, Winnipeg. He died at Vancouver, British Columbia on 21 May 1950. “Mrs. E. M. Barry, 76, resident since 1883, dies,” Winnipeg Tribune, 18 October 1930, page 3. This page was prepared by Gordon Goldsborough, Sarah Ramsden, and Nathan Kramer.